Canadian rock ‘n roll band Loverboy famously sang, “everybody’s working for the weekend.” It’s okay if you don’t love your job, but you shouldn’t have to worry about physical harm in the workplace. Unfortunately, one out of five people in San Diego has hearing loss, many of them developing it as a result of excess noise exposure. One of the most prevalent sources of harmful noise exposure is the place where you spend 40 hours a week: your job. If asked to describe a typical hearing-impaired individual, many of us picture an older person well past retirement age. But in reality, hearing loss affects people of all ages – especially when it’s caused by noise exposure. Around 15 percent of people in San Diego between the ages of 20-69 suffer from hearing loss brought on by exposure to noise. Known as noise-induced hearing loss (or NIHL for short), it is the result of damage to the sensory cells in the inner ear following exposure to harmful noise levels. 85 decibels (dB) is considered the threshold for safe noise exposure; prolonged exposure to noises exceeding 85 dB can cause permanent hearing loss. The louder the noise, the less safe exposure time you have; it takes about eight hours for hearing damage to occur at 85 dB, but at 100 dB, irreversible damage can happen in as little as 15 minutes. The best way to prevent damage is to wear hearing protection whenever you are going to be exposed to unsafe noise levels. If you work in a noisy occupational setting, you should take extra precautions when it comes to protecting your hearing. NIHL is one of the most commonly reported occupational diseases in California and throughout the U.S. The problem is especially prevalent in manufacturing and construction jobs, but is not limited to those occupations. Teachers, musicians, factory and farm workers, gardeners and airport ground staff are all jobs in which workers are regularly exposed to hazardous noise levels. Information and training about workplace hazards, methods of preventing them and the OSHA standards that apply to their workplace. Review of records for all work-related injuries and illnesses. File a confidential complaint asking OSHA to inspect their workplace if they believe there is a serious hazard, or their employer is not following OSHA’s rules. Exercise their rights under the law without retaliation, including reporting an injury or raising health and safety concerns with their employer or OSHA. 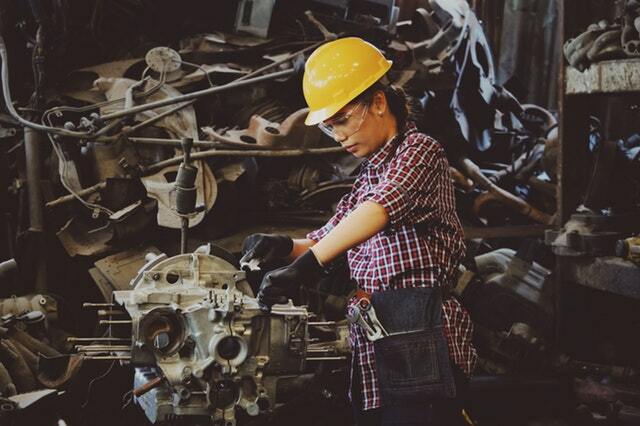 To lessen the odds of developing hearing loss in the workplace, your employer is required to provide proper hearing protection; it is imperative you take advantage of this and wear what is provided at all times. Employers are also encouraged to provide training sessions on hearing safety measures and establish onsite hearing conservation programs in order to keep their workers safe. If noise exposure is a frequent occurrence in your workplace, contact your San Diego audiologist for additional tips on protecting your hearing.